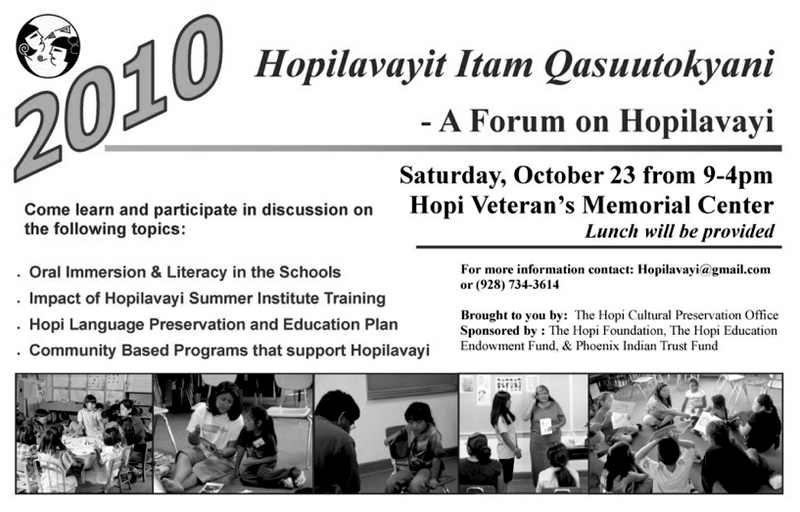 For those not attending, hopefully someone will post some comments about how the 2019 Hopilavayi Forum next week. Phil, thanks for your comment. I also hope that someone who attended the event will drop by and give us a report. Correction. That would be the Hopilavayi forum in 2010 not 2019.